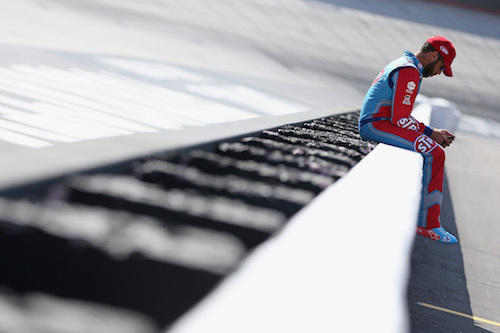 Darrell Wallace Jr. experienced highs and lows during the NASCAR race weekend at Bristol Motor Speedway in Tennessee that culminated in the running of the Food City 500. He led six laps late in the race Monday. After several rain postponements and interruptions he became the first African-American driver to lead laps in a NASCAR premier-series race since Wendell Scott in Jacksonville, Florida in 1963. Wallace wound up 16th, one lap down, at the checkered flag, but the finish wasn’t the crappiest part of Wallace’s Bristol weekend. That came prior to driver introductions Sunday when he had to climb over his toilet to get out of his motorhome.